I couldn’t find, after a few days, any negative feedback about ICEEfest 2014. I don’t think it’s 100% deserved: we still have some things to improve, but fortunately there’s a certain amount of gentleness inside the industry. I appreciate it. My colleagues and I are obviously pleased about that, but nevertheless fully conscious the avalanche of good words obliges us to do a better work at future editions. By the way: during the days to come, those who attended the festival will get a link to a survey where you can tell us, anonymously, 101% honest opinions about what was not so great at ICEEfest 2014, so we can improve it in 2015. 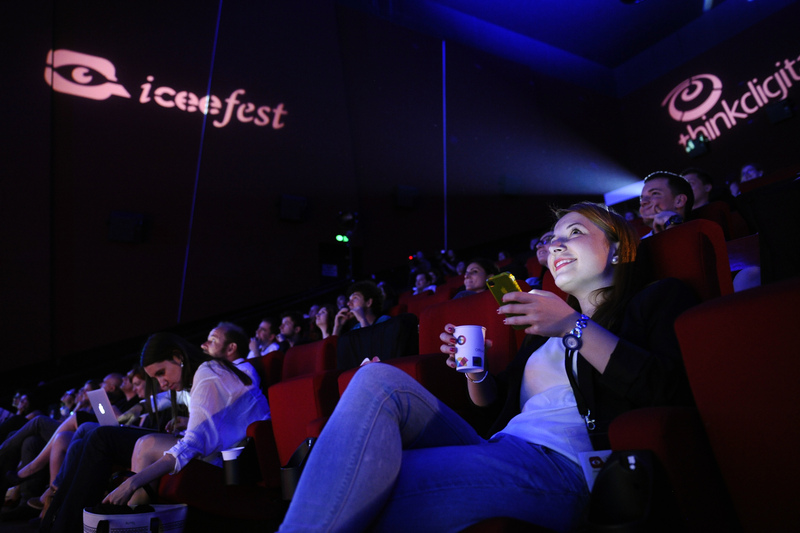 Besides, it’s adequately to say here I feel blessed to make ICEEfest [I couldn’t find another rhyme]. And to make 2-3 remarks, though I won’t start, predictably, with thanks for the event’s sponsors. I appreciate what they did, of course, and I am grateful some of them are with us [as a team, not necessarily as a company] since 2008 [remember RoNewMedia?]. Yet I would like one thing to be crystal clear: both the media exposure and the benefits we offer exceed, as a rule, the money the sponsors disburse to cover the event’s costs. And the costs are, as the years pass, bigger and bigger. If we only had the sponsor’s money, ICEEfest would have not been possible. It would have been just another indistinctive conference in a hotel ballroom where we would have rotated the same people [me, for the instance] that couldn’t have all the time something new to say, so we would have ended up chewing the same ideas and jokes. So for the sponsors it’s a fair deal. Win-win. Business. I thank them all – but not only them, and surely not in the first place. 1. The first ones that deserve my thanks are those who pay a ticket to attend. That is you, the public. It’s the 1.420 people who were there during the festival’s two days. The money we made selling ICEEfest’s tickets significantly exceeds the combined contributions of all sponsors. If it would be a content platform – as it actually is, at a certain level – this project could live comfortably in an “advertising free” model. This is the biggest win of this year’s edition, as far as I’m concerned. The growing independence from the advertising money brings a clear and direct benefit, and you can see it in the presented content (we decided to completely drop out from scene 1, for example, the sponsored presentations unmarked with a “P” [coming from “PUBLICITATE”, the Romanian word for “advertising”]; its a beginning). 2. Secondly, thanks to my colleagues from the media and also from the blogosphere which, regardless of the competition between us on certain areas or of the various sympathies, intensely promoted ICEEfest with articles, news and good words (more valuable, often, than any “free PR”). And no, we haven’t paid to become a news story neither at the ProTV News, nor at Antena 1’s main news broadcast, The Observer. Generally speaking, except for some special partnerships [tickets for media exposure], we haven’t paid for coverage in the content area. ICEEfest was covered according to journalistic criteria and got the media exposure it deserves. 3. Third, but not last, I want to thank to my colleagues at ThinkDigital that made this project possible again, through their long hours and relentless effort. Gabi Bartic – general coordination and planning; Dannos Tsakalos – research for speakers and content; Dan Duminica – production, logistics, lights, sound [Sunday Production]; Stefan Georgescu – technical assistance on location and web presence; Cosmin Voicu and Mihaela Petre – ticket sales and registration desk coordination; Andreea Munteanu – location organization; Ciprian Ailenei – social media content; Andrei Ursuleanu + the sales team; Mihai Dragan – art work [MetroMind]‘ Athina Radoslav, Andreea Adamescu + the 40 volunteers – for the essential help given “on the last hundred meters”. Bottom line: THANK YOU ALL!